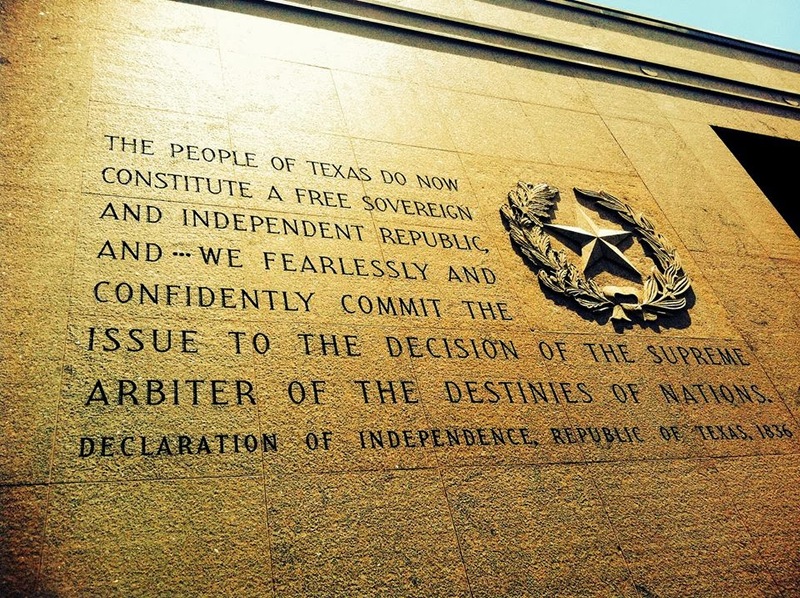 TEXAS BOOK LOVER: Happy Texas Independence Day! Happy Texas Independence Day y'all! 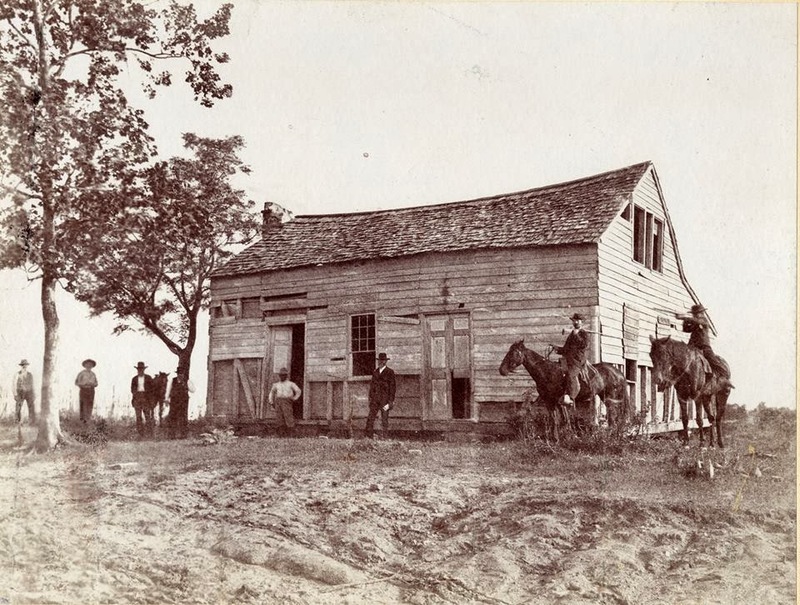 Below is Independence Hall at Washington-on-the-Brazos, captured in ruins in the 19th century. It was here that the Texas Declaration of Independence was signed and the government of the Republic of Texas created. Convention President Richard Ellis appointed George C. Childress, James Gaines, Edward Conrad, Collin McKinney, and Bailey Hardeman to a committee to draft the declaration. However, Childress, the committee chairman, is today generally accepted as the declaration’s author. Since the document was submitted for a vote of the whole convention on the second day, Childress probably already had a draft version with him when he arrived. 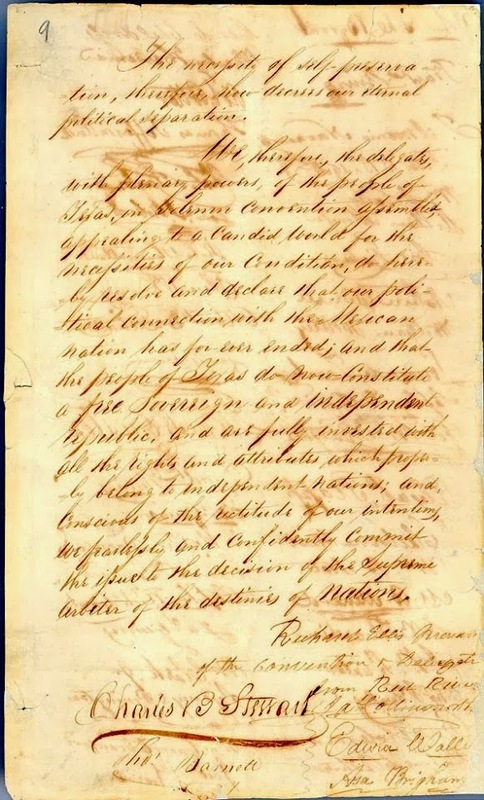 After the declaration was approved March 2, the convention proceeded with other business, receiving regular reports on Mexican General Santa Anna’s ongoing siege of the Alamo. Thanks as always to the TSLAC for sharing.